Pipe ramming is an excellent, cost-efficient alternative for placing steel casing under roads, railroads, finished landscapes and structures and is often the method of choice in cobble or free- flowing soil conditions. Pipe ramming is an excellent, cost-efficient alternative for placing steel casing under roads, railroads, finished landscapes and structures and is often the method of choice in cobble or free- flowing soil conditions. 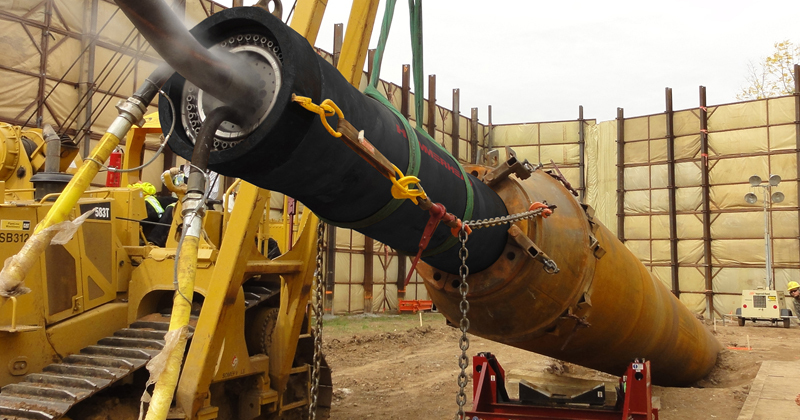 Compared to conventional methods, pipe ramming cuts down on set-up time and offers lower equipment costs and reduced maintenance costs. HammerHead® ramming tools offer unique features not found in competitive models and our tools are built to rigorous standards to ensure reliable performance in the field. We are dedicated to your success and our specialists are on hand to consult with you and recommend the most appropriate approach to completing your next project. 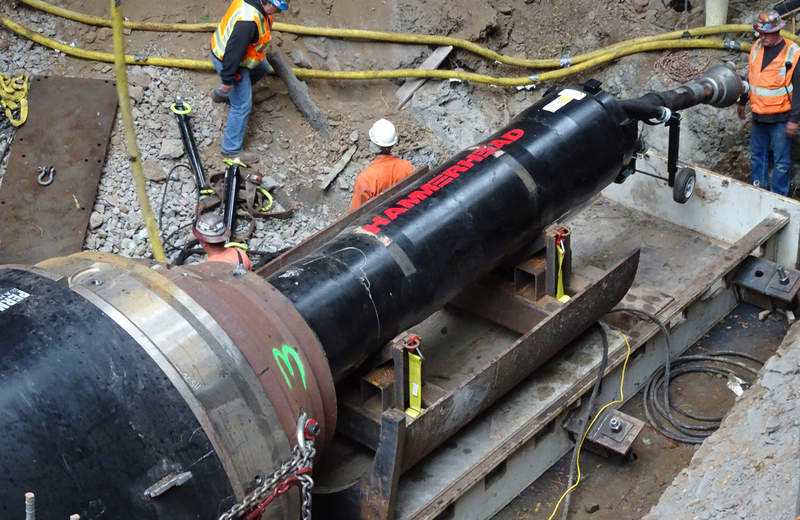 Our ramming tools are ideal for pullback assist, drill stem recovery and pipe removal situations.